Eye of Africa is a residential golf community in Johannesburg, South Africa. 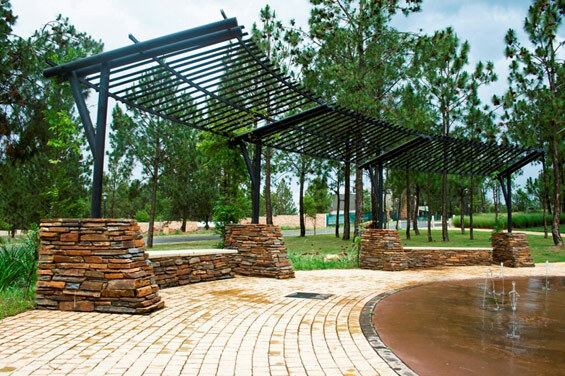 Landscape Architects Uys & White (Pty) Ltd was briefed for the development of an appropriate park system which is sensitive to the environment and will provide for the needs of residents, the development of a landscape and streetscape theme which is generated by the natural Highveld environment. Uys & White won a 2011 Corobrik-ILASA Award of Excellence in the category Planning & Design for Eye of Africa Phase 1. The project required the establishment of coherency in the vastness of the open spaces. A hierarchical open-space system assigned specific uses to specific parks, each serving a residential demography, and then linked all the parks with a neighbourhood recreational route as part of a multi-purpose road reserve. 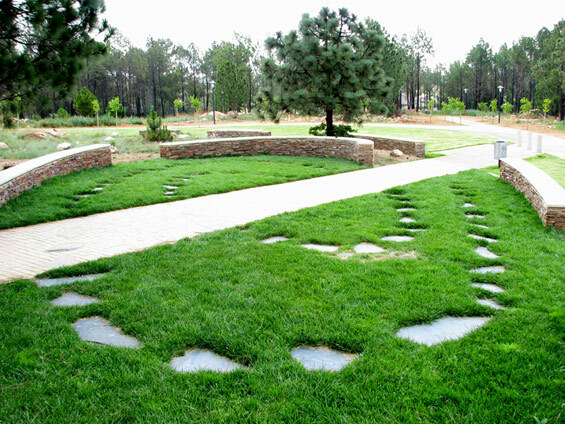 Historic features and sites were preserved and integrated into the public open space. Stone monoliths, which were originally used as farm-fence posts, were reused as land art in specific parks. 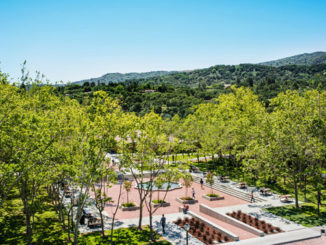 A historic family graveyard and classroom building was incorporated into the open-space system as a place of interest and contemplation. 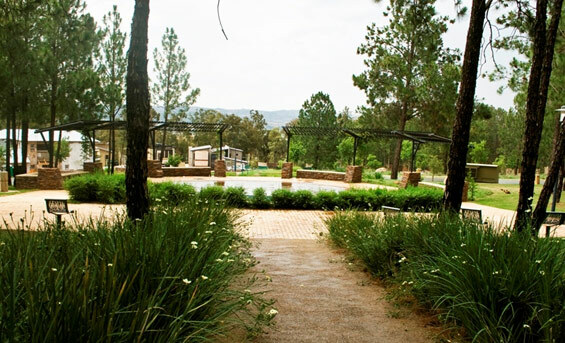 The value of the pre-development Highveld landscape was graded and areas of significance were protected. This became the design generator which embraced and integrated natural landscape features such as, large clusters of exotic trees, natural dolomite rock outcrops and native grassland, into the designed environment. The grassland emblem, which is incorporated into the design of the custom-made street furniture in a stylised manner, is a symbolic reference to the Highveld environment.